What is the DermaSweep Resurfacing System? DermaSweep is a multi-level skin resurfacing system that is used to exfoliate and revitalize your skin. It’s used to treat everything from fine lines, wrinkles, and laxity to even the more sensitive areas like Rosacea, blemishes, and around the eyes. DermaSweep deeply exfoliates the skin then places one of three different categories of treatments called SkinFusions (which are detailed below). Our laser center will customize a package of infusions specifically to meet your needs. 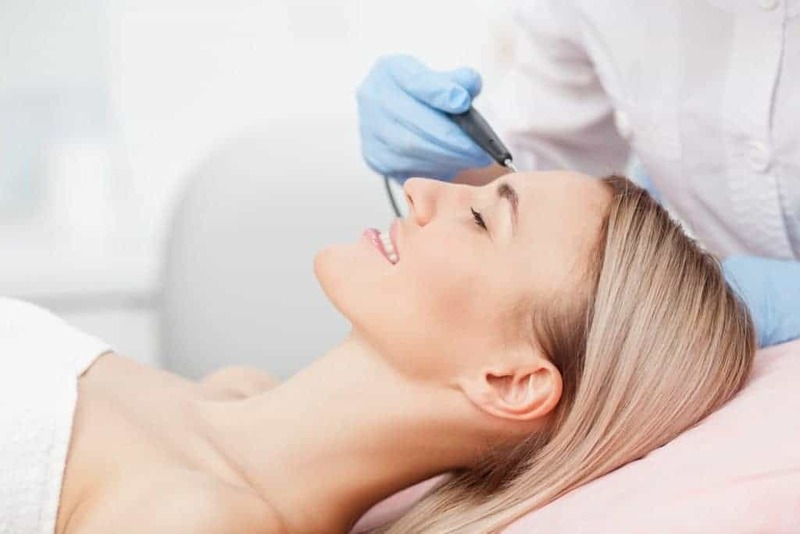 How Does The DermaSweep Resurfacing System Work? Oftentimes, clients ask if DermaSweep is another word for microdermabrasion. DermaSweep goes beyond microderm by exfoliating while it simultaneously delivering a topical treatment. Our state-of-the-art system uses 7 combinations of treatment tip sizes, is non-invasive, and doesn’t use aluminum oxide crystals, so there’s no risk of getting them stuck in your skin. In a 30-minute session, DermaSweep removes the topmost layer of skin by gently lifting it against the bristle tip. The removed skin is vacuumed away, which leaves smoother, more supple-looking skin. This exchange cleans pores and encourages increases blood flow which encourages collagen formation. After this exfoliation, SkinFusions are applied to the skin to help you achieve your best results. You will leave with a warm, pinkish glow. DermaSweep is safe, painless, and effective. You will see results after one treatment. Come see the difference it can make for your skin. These paraben-free solutions target your skincare issues with powerful but pure ingredients. PremiumFusions contain scientifically-proven active ingredients such as skin-transforming peptides, nourishing proteins, and age-reversing growth factors which result in optimal skin rejuvenation. PeelFusions enhance the traditional benefits of chemical peels by delivering active ingredients with less peeling and flaking. EpiFusions targets skin concerns such as skin lightening, brightening, dehydration, and more. Ask one of our clinicians about which SkinFusion might be right for you! What are the benefits of Derma Sweep? 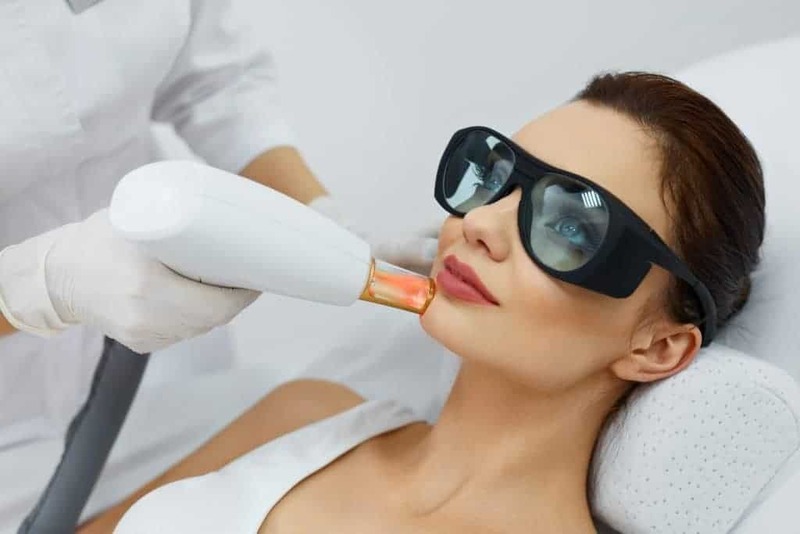 If you are looking for a treatment solution that get the maximum results possible for all skin types you have found the right place, Indy Laser! When it comes to your skin care needs in Indianapolis and Central Indiana, we are the professionals. We have more than 6,600 hours of training on lasers and skin, over 100,000 hours of staff experience, over 2,500 days with no staff turnover, and have performed more than 270,000 treatments on customers from all over Indiana. The reality is in Indianapolis there are very few places that have the technology and experience to provide consistent, lasting results on all skin types. Among those we are the fastest and most cost effective option in Central Indiana.